Matsumoto Y., Dogru M., Goto E., Fujishima H., Tsubota K. Successful topical application of a new antifungal agent, micafungin, in the treatment of refractory fungal corneal ulcers: report of three cases and literature review. Cornea 2005;24:748-53. Kojima T., Ishida R., Dogru M., Goto E., Matsumoto Y., Kaido M., Tsubota K. The effect of autologous serum eyedrops in the treatment of severe dry eye disease: a prospective randomized case-control study. Am J Ophthalmol 2005;139:242-6. Kojima T., Dogru M., Matsumoto Y., Goto E., Tsubota K. Tear film and ocular surface abnormalities after eyelid tattooing. Ophthal Plast Reconstr Surg 2005;21:69-71. Ishida R., Kojima T., Dogru M., Kaido M., Matsumoto Y., Tanaka M., Goto E., Tsubota K. The application of a new continuous functional visual acuity measurement system in dry eye syndromes. Am J Ophthalmol 2005;139:253-8. Hida R. Y., Ohashi Y., Takano Y., Dogru M., Goto E., Fujishima H., Saito I., Saito K., Fukase Y., Tsubota K. Elevated levels of human alpha -defensin in tears of patients with allergic conjunctival disease complicated by corneal lesions: detection by SELDI ProteinChip system and quantification. Curr Eye Res 2005;30:723-30. Matsumoto Y., Dogru M., Goto E., Ohashi Y., Kojima T., Ishida R., Tsubota K. Autologous serum application in the treatment of neurotrophic keratopathy. Ophthalmology 2004;111:1115-20. Matsumoto Y., Dogru M., Goto E., Endo K., Tsubota K. Increased tear evaporation in a patient with ectrodactyly-ectodermal dysplasia-clefting syndrome. Jpn J Ophthalmol 2004;48:372-5. Konomi K., Shimazaki J., Shimmura S., Akabane N., Goto E., Tsubota K. Efficacy of core vitrectomy preceding triple corneal procedure. Br J Ophthalmol 2004;88:1023-5. Kojima T., Ishida R., Dogru M., Goto E., Takano Y., Matsumoto Y., Kaido M., Ohashi Y., Tsubota K. A new noninvasive tear stability analysis system for the assessment of dry eyes. Invest Ophthalmol Vis Sci 2004;45:1369-74. Kawakita T., Takano Y., Asano-Kato N., Tanaka M., Dogru M., Goto E., Tsubota K., Takahashi S., Fukagawa K., Fujishima H. Quantitative evaluation of eyelid elasticity using the cutometer SEM575 and its clinical application in assessing the efficacy of tacrolimus ointment treatment in eyelid atopic dermatitis. Cornea 2004;23:468-71. Kaido M., Goto E., Dogru M., Tsubota K. Punctal occlusion in the management of chronic Stevens-Johnson syndrome. Ophthalmology 2004;111:895-900. Dogru M., Karakaya H., Baykara M., Ozmen A., Koksal N., Goto E., Matsumoto Y., Kojima T., Shimazaki J., Tsubota K. Tear function and ocular surface findings in premature and term babies. Ophthalmology 2004;111:901-5. Dogru M., Kaderli B., Gelisken O., Yucel A., Avci R., Goto E., Shimmura S., Shimazaki J., Tsubota K. Ocular surface changes with applanation contact lens and coupling fluid use after argon laser photocoagulation in noninsulin-dependent diabetes mellitus. Am J Ophthalmol 2004;138:381-8. Di Pascuale M. A., Goto E., Tseng S. C. Sequential changes of lipid tear film after the instillation of a single drop of a new emulsion eye drop in dry eye patients. Ophthalmology 2004;111:783-91. Shimmura S., Ueno R., Matsumoto Y., Goto E., Higuchi A., Shimazaki J., Tsubota K. Albumin as a tear supplement in the treatment of severe dry eye. Br J Ophthalmol 2003;87:1279-83. Ohashi Y., Ishida R., Kojima T., Goto E., Matsumoto Y., Watanabe K., Ishida N., Nakata K., Takeuchi T., Tsubota K. Abnormal protein profiles in tears with dry eye syndrome. Am J Ophthalmol 2003;136:291-9. Meallet M. A., Espana E. M., Grueterich M., Ti S. E., Goto E., Tseng S. C. Amniotic membrane transplantation with conjunctival limbal autograft for total limbal stem cell deficiency. Ophthalmology 2003;110:1585-92. Goto E., Yagi Y., Kaido M., Matsumoto Y., Konomi K., Tsubota K. Improved functional visual acuity after punctal occlusion in dry eye patients. Am J Ophthalmol 2003;135:704-5. Goto E., Tseng S. C. Differentiation of lipid tear deficiency dry eye by kinetic analysis of tear interference images. Arch Ophthalmol 2003;121:173-80. Goto E., Tseng S. C. Kinetic analysis of tear interference images in aqueous tear deficiency dry eye before and after punctal occlusion. Invest Ophthalmol Vis Sci 2003;44:1897-905. Goto E., Endo K., Suzuki A., Fujikura Y., Matsumoto Y., Tsubota K. Tear evaporation dynamics in normal subjects and subjects with obstructive meibomian gland dysfunction. Invest Ophthalmol Vis Sci 2003;44:533-9. Goto E., Dogru M., Kojima T., Tsubota K. Computer-synthesis of an interference color chart of human tear lipid layer, by a colorimetric approach. Invest Ophthalmol Vis Sci 2003;44:4693-7. Solomon A., Ellies P., Anderson D. F., Touhami A., Grueterich M., Espana E. M., Ti S. E., Goto E., Feuer W. J., Tseng S. C. Long-term outcome of keratolimbal allograft with or without penetrating keratoplasty for total limbal stem cell deficiency. Ophthalmology 2002;109:1159-66. Shimazaki J., Aiba M., Goto E., Kato N., Shimmura S., Tsubota K. Transplantation of human limbal epithelium cultivated on amniotic membrane for the treatment of severe ocular surface disorders. Ophthalmology 2002;109:1285-90. Goto E., Yagi Y., Matsumoto Y., Tsubota K. Impaired functional visual acuity of dry eye patients. Am J Ophthalmol 2002;133:181-6. Goto E., Shimazaki J., Monden Y., Takano Y., Yagi Y., Shimmura S., Tsubota K. Low-concentration homogenized castor oil eye drops for noninflamed obstructive meibomian gland dysfunction. Ophthalmology 2002;109:2030-5. Goto E., Monden Y., Takano Y., Mori A., Shimmura S., Shimazaki J., Tsubota K. Treatment of non-inflamed obstructive meibomian gland dysfunction by an infrared warm compression device. Br J Ophthalmol 2002;86:1403-7. Goto E., Shimmura S., Shimazaki J., Tsubota K. Treatment of superior limbic keratoconjunctivitis by application of autologous serum. Cornea 2001;20:807-10. Tsubota K., Monden Y., Yagi Y., Goto E., Shimmura S. New treatment of dry eye: the effect of calcium ointment through eyelid skin delivery. Br J Ophthalmol 1999;83:767-70. Tsubota K., Goto E., Shimmura S., Shimazaki J. Treatment of persistent corneal epithelial defect by autologous serum application. Ophthalmology 1999;106:1984-9. Tsubota K., Goto E., Fujita H., Ono M., Inoue H., Saito I., Shimmura S. Treatment of dry eye by autologous serum application in Sjogren’s syndrome. Br J Ophthalmol 1999;83:390-5. Mori A., Oguchi Y., Goto E., Nakamori K., Ohtsuki T., Egami F., Shimazaki J., Tsubota K. Efficacy and safety of infrared warming of the eyelids. Cornea 1999;18:188-93. Shimmura S., Goto E., Shimazaki J., Tsubota K. Viscosity-dependent fluid dynamics of eyedrops on the ocular surface. Am J Ophthalmol 1998;125:386-8. Shimazaki J., Goto E., Ono M., Shimmura S., Tsubota K. Meibomian gland dysfunction in patients with Sjogren syndrome. Ophthalmology 1998;105:1485-8. Matsumoto K., Shimmura S., Goto E., Saito K., Takeuchi T., Miyajima S., Negi A., Tsubota K. Lecithin-bound superoxide dismutase in the prevention of neutrophil-induced damage of corneal tissue. Invest Ophthalmol Vis Sci 1998;39:30-5. Goto E. Castor oil eye drops are safe, effective, for some dry eye. Ocular Surgery News 2003;3:35-36. Goto E. Dry eye patients takes pick as new treatment floods market. Euro Times 2003;2. Goto E. Castor oil drops safely treat meibomian gland dysfunction: fluorescein score,tear break-up time, tear evaporation rates improve significantly. Ophthalmology Times 2003;15.4. Goto E., Yagi Y., Matsumoto Y., Tsubota K. Visual acuity and corneal surface regularity after blinking(Author’s reply). Am J Ophthalmol 2002;134:302-3. Endo K., Goto E., Suzuki A., Fujikura Y., Tsubota K. Innovative dry eye diagnosis system using microbalance technology. Adv Exp Med Biol 2002;506:1165-9. Goto E. Quantification of tear interference image: tear fluid surface nanotechnology. Cornea 2004;23:S20-4. Goto E., Endo K., Suzuki A., Fujikura Y., Tsubota K. Improvement of tear stability following warm compression in patients with meibomian gland dysfunction. Adv Exp Med Biol 2002;506:1149-52. Nepp J., Tsubota K., Goto E., Schauersberger J., Schild G., Jandrasits K., Abela C., Wedrich A. The effect of acupuncture on the temperature of the ocular surface in conjunctivitis sicca measured by non-contact thermography: preliminary results. Adv Exp Med Biol 2002;506:723-6. Ono M., Yagi Y., Goto E., Yang H. Y., Tsubota K. Evaluation of Schirmer tests by two types of tear clearance tests. Adv Exp Med Biol 1998;438:869-73. Tseng S. C., Meller D., Anderson D. F., Touhami A., Pires R. T., Gruterich M., Solomon A., Espana E., Sandoval H., Ti S. E., Goto E. Ex vivo preservation and expansion of human limbal epithelial stem cells on amniotic membrane for treating corneal diseases with total limbal stem cell deficiency. Adv Exp Med Biol 2002;506:1323-34. Dursun D, Akova Y.A, Akca S, Bozbeyoglu S, Bilezikci B, Goto E, Dogru M, Tsubota K.Smoking and Ocular Surface: Damage on lipid layer?2004. Tsubota K, Enomoto M, Shimmura S, Goto E, Shinozaki N, Shimazaki J.Ocular surface reconstruction by cultivated conjunctival-limbal allogragts on amniotic membrane.ARVO.Fort Lauderdale, FL.2000. Tsubota K, Goto E, Shimazaki J, Shimmura S.Treatment of persistent epitheial defect by autologous serum application.1998 Anual Meeting of American Academy of Ophthalmolgy.New Orleans.1998. Bissen-Miyajima H, Goto E, Shimazaki J, Tsubota K. Thermal effect of corneal inscision with different tips and sleeves. 1997. Yang Hao-Yung, 五十嵐 翔, 後藤 英樹. 新型シリコーン涙点プラグによるドライアイの治療. あたらしい眼科 1997;14:1825-1830. 木村 佳史, 村田 隆幸 , 田中 勝 , 清水 宏, 後藤 英樹 , 坪田 一男. 著明な角膜混濁を伴ったhidrotic ectodermal dysplasia. 日本皮膚科学会雑誌 1999;109:214-215. 後藤 英樹, 中村 邦彦, ビッセン宮島 弘子. 若年者における屈折型多焦点眼内レンズの効果. あたらしい眼科 2000;17:1417-1420. 平沢 学　, 山田 昌和, 河合 正孝, 後藤 英樹, 井上 真, 真島 行彦, 坪田 一男. 治療用コンタクトレンズの長期装用により生じた感染性角膜潰瘍の検討. 眼科 2005;47:1215-1219. 石岡 みさき, 後藤 英樹, 島崎 潤, 佐藤 由紀恵, 坪田 一男. チモロールゲル点眼直後の涙液干渉像の観察. あたらしい眼科 2005;22:217-219. 後藤 英樹, 山本 祐介. ドライアイ　治療法　涙液油層異常に対する治療法. In: 坪田 一男, editor. 眼科プラクティス3巻　オキュラーサーフェスのすべて. 東京: 文光堂, 2005:108-111. 後藤 英樹, 山本 祐介. DR-1による涙液油層の評価. In: 一男 坪田, editor. 眼科プラクティス3巻　オキュラーサーフェスのすべて. 東京: 文光堂, 2005:112-114. 山本 祐介, 後藤 英樹. One Point Advice　温罨法は効果あるか. In: 坪田 一男, editor. 眼科プラクティス3巻　オキュラーサーフェスのすべて. 東京: 文光堂, 2005:118-119. 山口 剛史, 後藤 英樹. 涙液検査　涙液安定性テスト. In: 坪田 一男, editor. 眼科プラクティス3巻　オキュラーサーフェスのすべて. 東京: 文光堂, 2005:26-31. 寺内 直毅, 後藤 英樹, 坪田 一男. VDT作業者の健康管理および事後措置のすすめ方. In: 和田 攻, editor. 産業保険ハンドブック　VDT作業と健康障害ー臨床・予防管理・補償のすべてー. 東京: 産業医学振興財団, 2005:123-132. 寺内 直毅, 後藤 英樹. 角膜前涙液層. In: 大鹿 哲郎, editor. 眼科プラクティス6巻　眼科臨床に必要な解剖生理　東京: 文光堂, 2005:63-68. 後藤 英樹, 坪田 一男. 眼症状・ドライアイ. 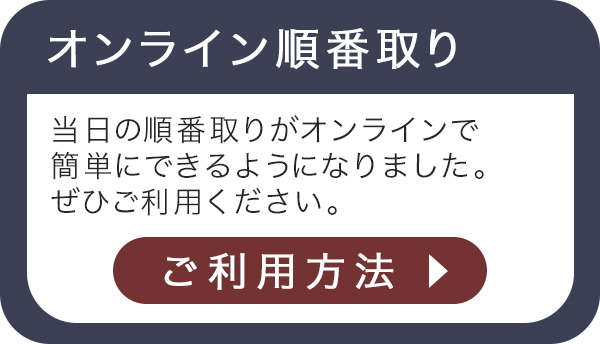 In: 三森 経世, editor. リウマチ・膠原病診療チェックリスト. 東京: 文光堂, 2004:58-60. 後藤 英樹, 島崎 潤. Meibom腺機能不全. In: ドライアイ研究会, editor. ドライアイ診療PPP. 東京: メジカルビュー, 2002:138-142. 後藤 英樹, 坪田 一男. ウォームコンプレス. In: ドライアイ研究会, editor. ドライアイ診療PPP. 東京: メジカルビュー, 2002:232-234. 後藤 英樹, 坪田 一男. 瞬目の検査(Blink Analyzer). In: ドライアイ研究会, editor. ドライアイ診療PPP. 東京: メジカルビュー, 2002:88-91. 川北 哲也, 後藤 英樹. 自己血清点眼. In: 坪田 一男, editor. 角膜移植ガイダンス. 東京: 南江堂, 2002:80-84. 川北 哲也, 後藤 英樹. 手術器具. In: 一男 坪田, editor. 角膜移植ガイダンス. 東京: 南江堂, 2002:21-24. 後藤 英樹. アイホット. In: 坪田 一男, editor. 難治オキュラーサーフェス疾患のレスキュー. 東京: メジカルビュー, 2000:154-155. 後藤 英樹. 眼瞼外反のひどいタイプー眼瞼外反. In: 坪田 一男, editor. 難治オキュラーサーフェス疾患のレスキュー. 東京: メジカルビュー, 2000:154-155. 後藤 英樹. 睫毛乱生内反のひどいタイプー睫毛乱生内反. In: 坪田 一男, editor. 難治オキュラーサーフェス疾患のレスキュー. 東京: メジカルビュー, 2000:152-153. 後藤 英樹. 白内障術後、角膜浮腫が持続。血管が入ってきたー水疱性角膜症に伴うstem cell障害、輪部機能不全. In: 坪田 一男, editor. 難治オキュラーサーフェス疾患のレスキュー. 東京: メジカルビュー, 2000:64-67. 後藤 英樹. 涙液蒸発量が増加するタイプのドライアイー閉塞生マイボーム腺機能不全. In: 坪田 一男, editor. 難治オキュラーサーフェス疾患のレスキュー. 東京: メジカルビュー, 2000:34-36. 後藤 英樹. 付録　ドライアイ用点眼薬・検査器具・治療用具一覧. In: 坪田 一男, editor. ドライアイクリニック. 東京: 医学書院, 2000:102-103. 坪田 一男, 後藤 英樹. 各手術に必要な器具と装置　私の角膜移植術器具セット. 眼科診療プラクティス64巻　【眼科手術器具の選び方と使い方】　東京: 文光堂, 2000:148-149. 後藤 英樹. オキュラーサーフェス検査グッズ～近代的なリフラクティブ外来を目指して. In: 坪田 一男, editor. 眼科外来シリーズ2　リフラクティブ外来. 東京: メジカルビュー, 1998:181-182. 後藤 英樹. 眼球マッサージ. In: 臼井 正彦, 坪田 一男, editors. 眼科診療便利手帳. 東京: 診断と治療社, 1998:314-315. 後藤 英樹. トピックスー油性点眼. In: 渡辺 仁, 田野 保雄, editors. 眼科診療プラクティス41巻　【ドライアイの全て】　東京: 文光堂, 1998:102-103. 高橋 洋子, 後藤 英樹. 調節力障害に対する温熱療法. あたらしい眼科 2005;22:645-647. 石岡 みさき, 後藤 英樹, 島崎 潤. 翼状片再発 -効果的な羊膜の使い方とその適応-. 眼科手術 2005;18:196-7. 後藤 英樹. 一般講演「ドライアイ4、Stevens-Johnson他」演題番号140-149. 第58回日本臨床眼科学会印象記. 眼科 2005. 川島 素子, 後藤 英樹. 【ドライアイ　眼の乾きのメカニズムに迫る】　眼の乾きと涙液油層　マイボーム腺脂質,涙液蒸発,涙液油層およびDR-1. あたらしい眼科 2005;22:295-302. 岡本 茂樹, 野田 やよい, 内野 美樹, 後藤 英樹, 石岡 みさき, 河窪 真里子. 【要点がひとめでわかる!点眼指導のツボ50】　応用編10のツボ　注意が必要な疾患・薬. 眼科ケア 2005;7:126-135. 坪田 一男, 後藤 英樹. コンピュータとドライアイ. 小学校学校保険ニュース 2005;748. 坪田 一男, 後藤 英樹. コンピュータとドライアイ. 学校保険ニュース 2005;1301. 後藤 英樹. 一般講演「涙液1、2」演題番号161-179. 第57回日本臨床眼科学会印象記. 眼科 2004;46:567-569. 後藤 英樹. 【知っておきたい眼科の最新治療!】　ドライアイの最新治療法. 眼科ケア 2004;6:24-28. 後藤 英樹. インタール点眼液と涙液層安定化作用. Allergia Trends 2004;6:18-20. 川島 素子, 後藤 英樹. 急増MGD! 医学のあゆみ 2004;211:1010-1014. 鈴木 慎太郎, 後藤 英樹, 坪田 一男. 診断の指針　治療の指針　ドライアイ. 綜合臨床 2003;52:2443-2444. 後藤 英樹, 坪田 一男. 【ドライアイ&アレルギー　知識のリフレッシュ】　ドライアイ　最近のトピックス. あたらしい眼科 2003;20:3-9. 後藤 英樹, 佐藤 由紀恵, 石岡 みさき, 坪田 一男. 眼科検診・人間ドックのコツ　プライマリケアのための検診・人間ドックの構築のコツ. 治療 2003;85:2299-2304. 後藤 英樹, 榎本 昌代. 培養角膜上皮移植. あたらしい眼科 2000;17:1229-1232. Goto E, Enomoto M. Transplantation of cultivated corneal epithelium on amniotic membrane. Journal of the Eye 2000;17:1229-32. 後藤 英樹, 鈴木 智. 新しい治療と検査シリーズ　アイホットによるドライアイの治療. あたらしい眼科 1999;16:219-220. 後藤 英樹, 木下 茂. 新しい治療と検査シリーズ　羊膜移植. あたらしい眼科 1997;14:711-712. 後藤 英樹, 島崎 潤. 【涙液の見方・考え方】　マイボーム腺機能不全とその治療. あたらしい眼科 1997;14:1613-1621. 後藤 英樹. 眼科の勉強法　学会の楽しい過ごし方. あたらしい眼科 1997;14:985-991. 浅水 健志, 吉野 由希子, 後藤 英樹, 島崎 潤, 坪田 一男, 篠崎 尚史. 提供角膜情報の画像管理システム. 日本組織移植学会雑誌 2003;2:36. 谷野 富彦, 後藤 英樹, 武田 千春, 黒坂 大次郎. 瞳孔括約筋切開をしたPEA+IOL挿入とトラベクレクトミー同時手術後早期にIOL亜脱臼をきたした一例. 第１９回日本眼科手術学会. 岐阜, 1996.